Nicole grew up on Sydney’s Northern Beaches, completing Diplomas in Advertising and Marketing after High School. She then travelled overseas on a working holiday for a couple of years – returning only briefly before jetting off again to spend 6 years over in beautiful Perth, Western Australia. She married in 2004 and relocated to Newcastle in 2005. Nicole has worked in various roles in the Media, Finance, Manufacturing, Telecommunications and Property industries so brings a wide array of experiences to AREC. Recently Nicole has completed a Cert IV in HR and has become a Professional Member of AHRI (Australian Human Resources Institute) and is continuing her studies as her passion for people and their development grows. 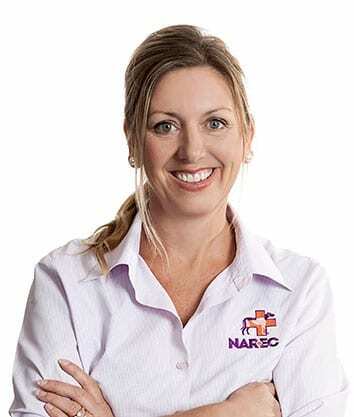 In 2017 Nicole will celebrate 10 years with the AREC. Starting initially in an administrative role after the birth of her first daughter Tahlia, Nicole went on to have two more children with husband Lucas – Angelina in 2008 and then Marcus in 2012. Nicole combats stress with regular Zumba classes and relaxes by spending time in the surf at the beach with her young family. She also loves camping but has been too busy to get around to it since the birth of her son!